An incredibly small mod, but I was encouraged to upload it as useful. 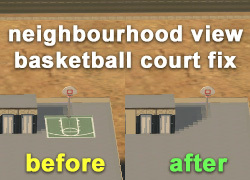 In the hobbies section there is a basketball court with 2 recolor options for the court, green and invisible. If the invisible recolor is chosen it only works in lot view; in hood view it is green. 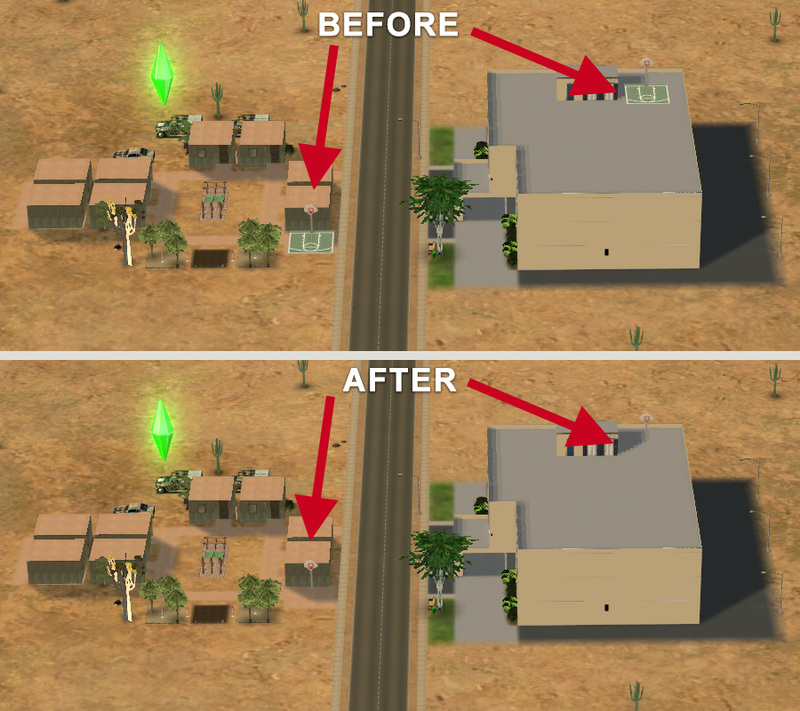 This mod fixes the hood view. Place in your downloads folder. Let me know if you recolour one of my items so I can post a link in the upload thread. Include my meshes with your recolours unless you ask me first. Yay! Thank you for sharing, this is very useful. I'm afraid my screenshot doesn't do it justice though. Perhaps this one would be more useful as a thumbnail.